The principal aim of this study is to further research on elections and news media coverage by identifying contemporary characteristics and tendencies across different European countries. 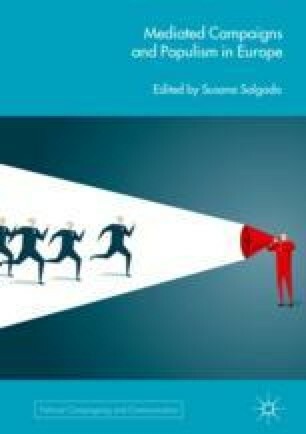 This introductory chapter contextualizes the rationale and methodological approach for the study of election campaign coverage in six European countries (Croatia, Greece, Ireland, Poland, Portugal, and Spain). The theoretical framework situates the analysis in terms of the general trends identified in extant literature as well as broader contexts of European-wide politics such as populism, the Euro Crisis, and the migration crisis. It is these European contexts that informed the selection of countries for comparative analysis, which include four of these countries most deeply affected by the Euro Crisis (Greece, Ireland, Portugal, and Spain) and two countries in which populism and the issue of immigration are to the fore (Croatia and Poland). Salgado, S. (2018). Where’s populism? Online media and the diffusion of populist discourses and styles in Portugal. European Political Science. https://doi.org/10.1057/s41304-017-0137-4. Salgado, S. (with contributions of, Balabanic, I., Garcia-Luengo, Ó., Mustapic, M., Papathanassopoulos, S., Stępińska, A.) (2015). Election news in six European countries: What is covered and how? – Study for research project. Retrieved from http://repositorio.ul.pt/handle/10451/29827.